If you ever thought you could bottle the splendid landscapes that you see around you, well someone did it before you, almost literally. 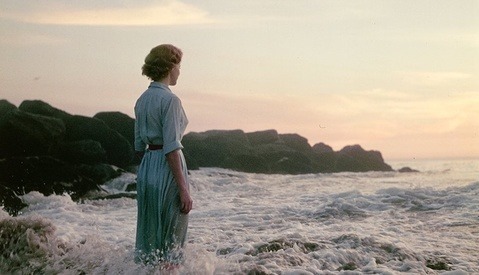 Relander realized the amazing idea of bottling landscapes through the process of double exposures. It has now been slightly more than one year since he started the “Jarred & Displaced” photo project. Relander tells me that he got the idea for this personal project around the time he learned he was going to be a father. It was about two years ago and it made him nostalgic and anxious because it hit him that he was so withdrawn from his childhood now. 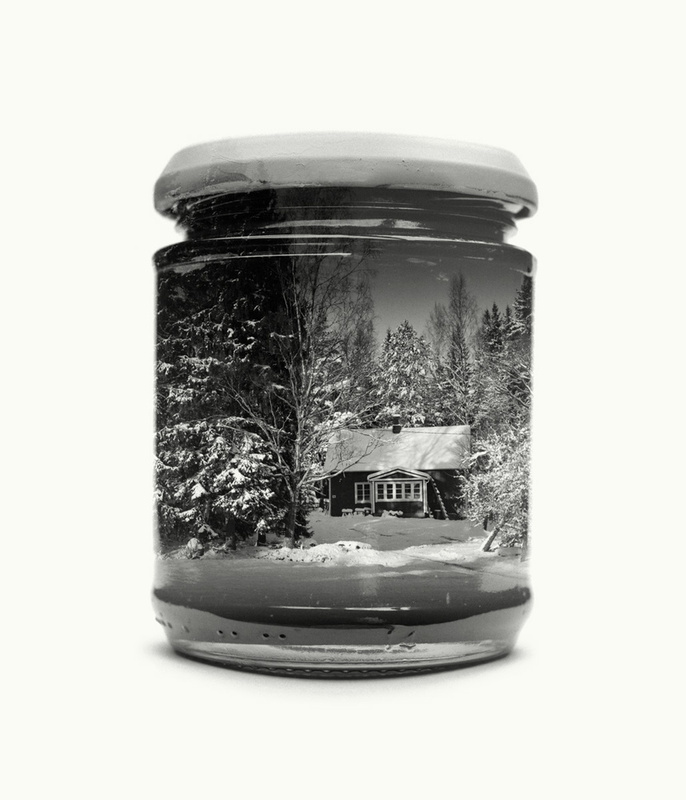 Therefore, “Jarred & Displaced” became a means to reconnect to his childhood dreams. 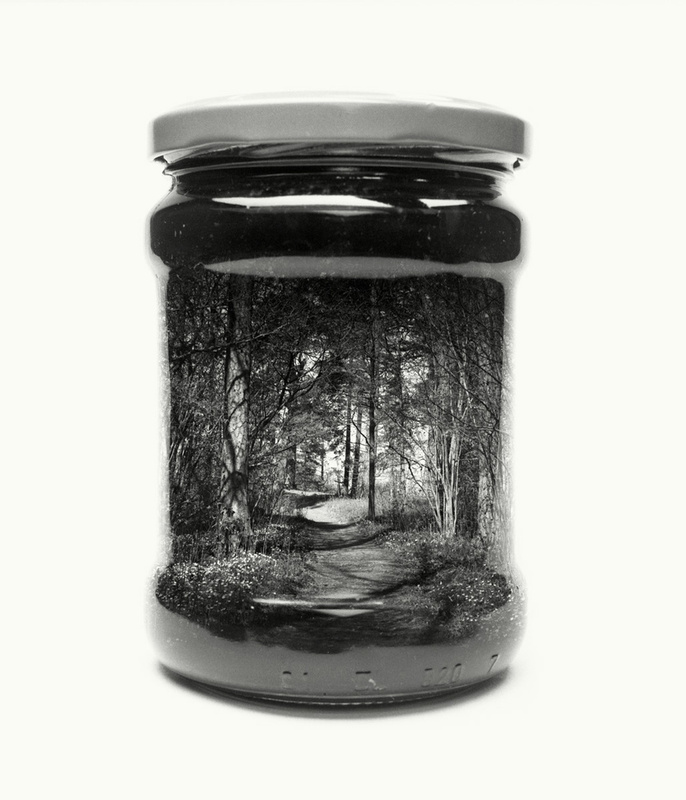 And in a way, when you look at those landscapes of the south of Finland captured forever in those jars, you can almost imagine fireflies fluttering inside them. Almost surreal. 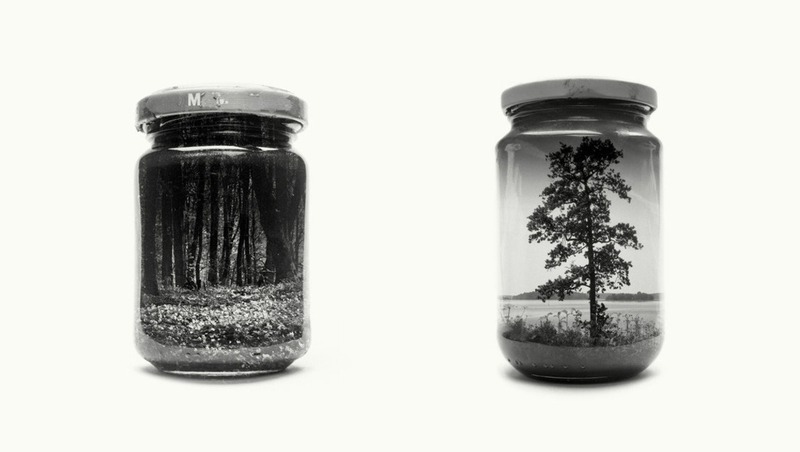 Upon seeing the pictures, some might instantly think that the landscapes have been photoshopped into those jars. It's the usual reaction in this day and age. However, Relander says that all was done in-camera. He concedes that the method to realize this concept was slower than working with a DSLR. But then, working with film the old fashion way is more exciting for him and more suitable for this project, as he had been experimenting with multiple exposures for some five years. 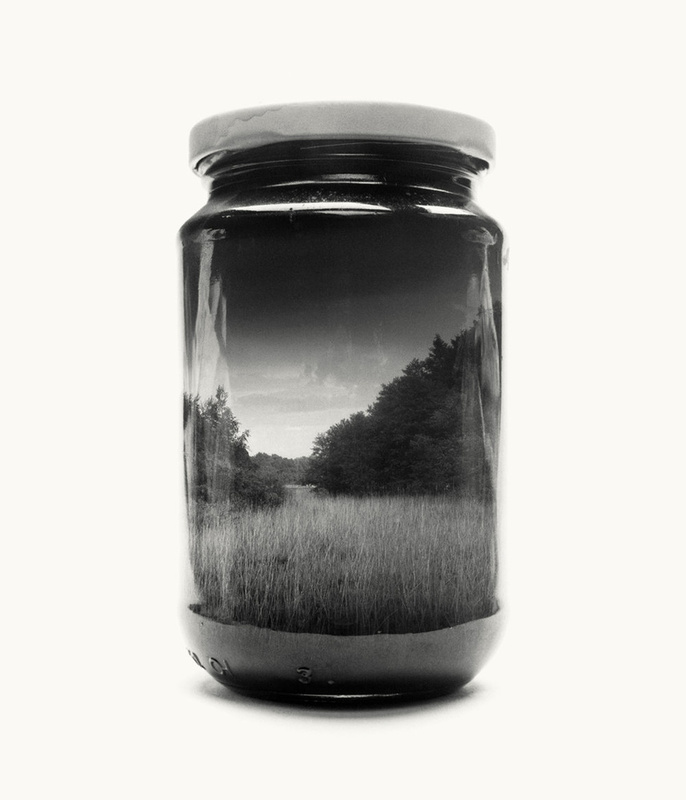 No doubt, the unknown held some kind of thrill for Relander as he shot the jarred landscapes. "I especially enjoy the point where I have exposed a full roll of double exposures and as there is no display to tell if I succeeded or not; I just have to imagine and focus more during shoot," said Relander. Knowing his thoughts on the matter of shooting film, it’s easy to understand why Relander did not choose to use Photoshop to make his images. For him, the work would never be finished with Photoshop and there will always be something more to tweak. Shooting on film means that the moment he has press the shutter a second time, the manipulation is done. For sure, there are a lot of trials and errors before getting the correct image, but it keeps the whole process interesting. "It might not get perfect every time, but this is part of the process," said Relander. "I love it." For his exhibitions, Relander explains that he prefers to develop and scan his large prints by himself. He also chose medium-format film for the different feel it offers. Sharpness may not always match his Nikon D800E, but the details are what he loves about it — film grain instead of digital noise. 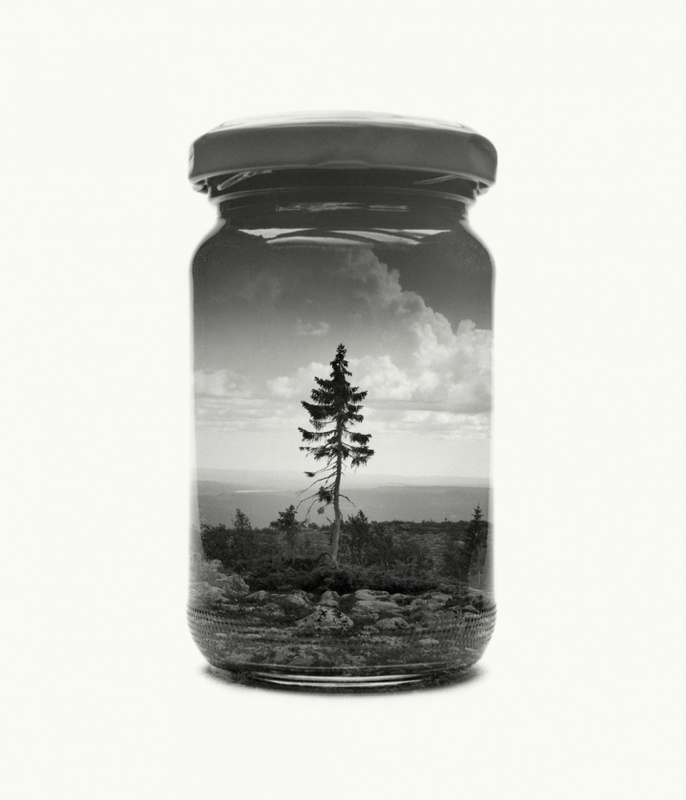 All that adds to the beauty of “Jarred & Displaced.” I would like to hear your thoughts about it, but for me, those double exposures took me somewhere else for a few minutes and the video below made by Anders Lönnfeldt for the photographer definitely highlights the job done by Relander. The videographer did a great job at instilling a captivating atmosphere, one that compliments the ongoing project of Relander. 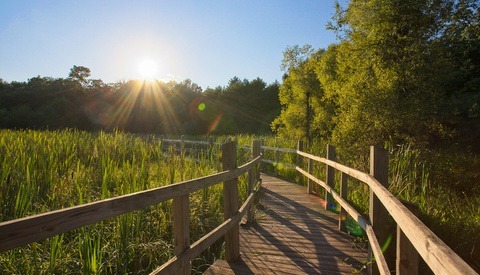 All images used with permission of Christopher Relander. This reminds me of the story about how Ansel Adams allowed one of his images to be used on a coffee can as advertising. Imogen Cunningham thought it was ridiculous, so she potted a marijuana plant in one of the empty coffee cans and sent it to him as a joke. I am impressed. I really like the slow and dedicated process very unlike todays 10 frames per second. One of the most beautiful things I have seen this year!.... Amazing! We share the same opinion!